This branch of mathematics helps us in finding height of tall buildings, height of temples, width of river, height of mountains, towers etc without actually measuring them. 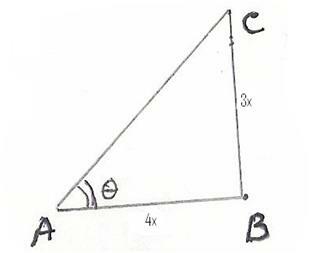 In the lesson 8.3 we will be solving few problems related to these.Different branches of Engineering use trigonometry and its functions extensively. 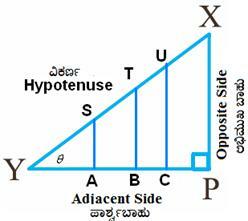 Using trigonometry we can find sides and angles of triangles when sufficient data is given about triangles. 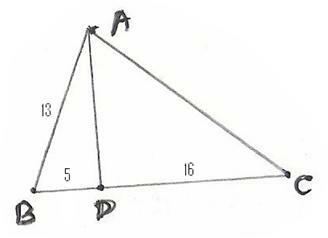 Trigonometry deals with three (tri) angles (gonia) and measures (metric) namely triangles. 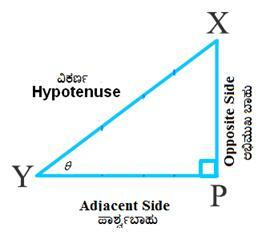 Ancient Indians were aware of the sine function and it is believed that modern trigonometry migrated from Hindus to Europe through Arabs. The Indian mathematicians who contributed to the development of Trigonometry are Aryabhata(6th Century AD), Brahmagupta(7th century AD) and Neelakantha Somayaji(15th Century AD). 2 radians = 3600. Hence, we have the table which gives relationship for various values of degree. 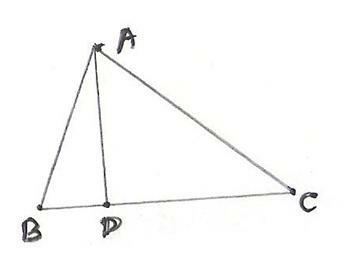 Since any triangle can be split into 2 right angled triangle, in trigonometry we study right angled triangles only. by Greek letters alpha ( ), beta ( ), gamma ( ), theta ( ), phi ( ). Since these ratios are constant irrespective of length of the sides obviously, why not we represent these ratios by some standard names? 3. Trigonometric ratios are numbers without units. 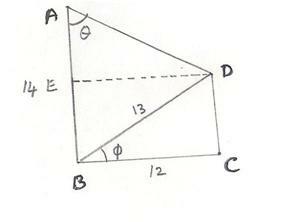 Exercise: Name the ratios with respect to the angle X. 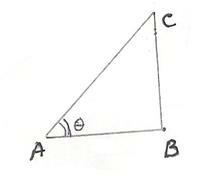 In the adjacent figure, tan = Opposite Side /Adjacent Side =BC/AB. Let the sides be multiples of x units. 8.1 Problem 3: Given sin = p/q, find sin + cos in terms of p and q. 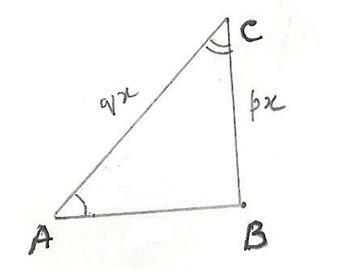 Construction: Draw a line parallel to BC from D to meet BA at E.
Find the value ofsin , cos , cot2 - cosec2 .